Millions of hybrids are now on the road, saving fuel and making driving more pleasant. Most cars are only powered by an internal combustion engine fueled with gasoline. Electric vehicles are powered by electric motors that are often three times more efficient than a gasoline engine. A hybrid vehicle uses both an electric motor, or motors, and a smaller engine that is typically fueled with gasoline. Rather than being a pure electric vehicle, it is a hybrid-electric vehicle. That is why these vehicles are called “hybrid.” Because the engine is smaller and assisted by the electric motor, less fuel is used. Hybrids also store braking energy, downhill energy, and engine-generated energy in advanced batteries and then supply the energy to an efficient electric motor(s). In effect, the engine is sometimes used as a generator. Capturing braking energy in batteries and then reusing the energy for power is called regenerative braking. Since 2002, my wife Marci and I have enjoyed driving a hybrid Toyota Prius. In real driving it has averaged 42 miles per gallon, including times when we drove on highways with bicycles on the roof and through snow with skis on the roof. Some drivers of new hybrids achieve over 50 mpg. The hybrid provides a quiet ride. In stop-and-go traffic the car only uses the electric motor and automatically shuts off the engine. When I accelerate past a slow speed, the engine is immediately engaged and away we go. The vehicle smoothly accelerates when entering highways. We can easily travel with up to four people and a full trunk. Hill climbing is a breeze. 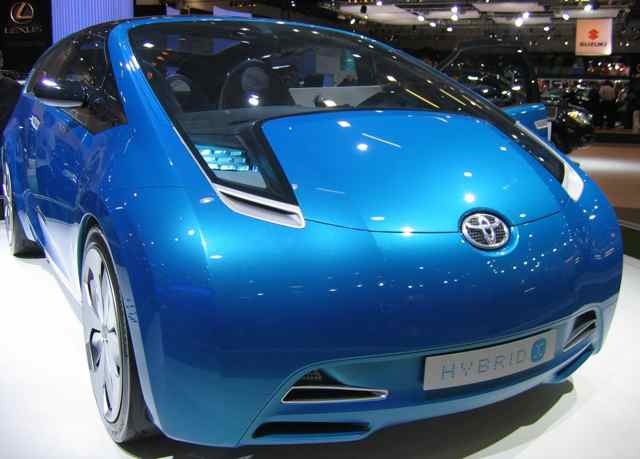 Although Toyota leads in hybrid sales, a number of automakers have introduced appealing hybrids. My mother is delighted with her Honda Civic Hybrid. The new Honda Insight four-door sedan with an Ecological Drive Assist System may deliver better mileage, a lower price, and a smaller carbon footprint than the 2008 Prius. Toyota will respond to the competition, creating better choices for all of us. Hybrid technology is improving the fuel economy of some SUVs. The Ford Escape Hybrid, for example, offers over 30 miles per gallon.